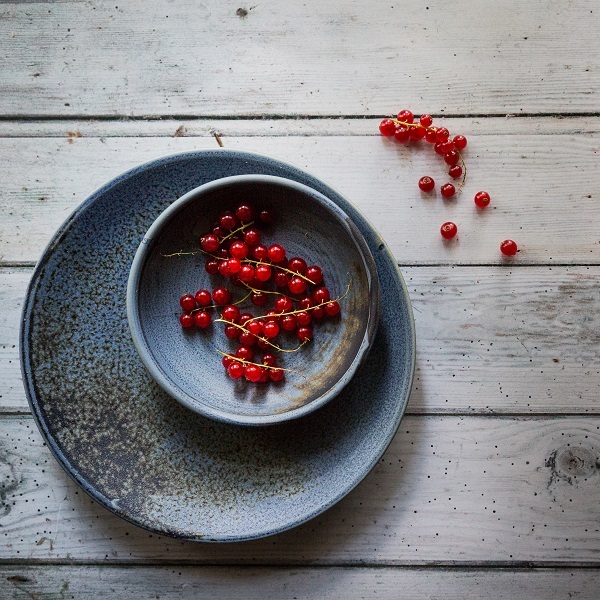 Home > Blog > Tableware trends 2019: What Glazes are Most Popular? 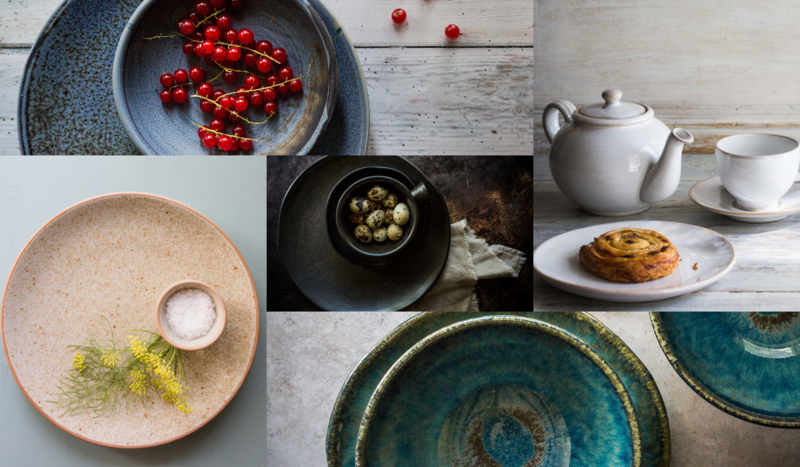 Tableware trends 2019: What Glazes are Most Popular? 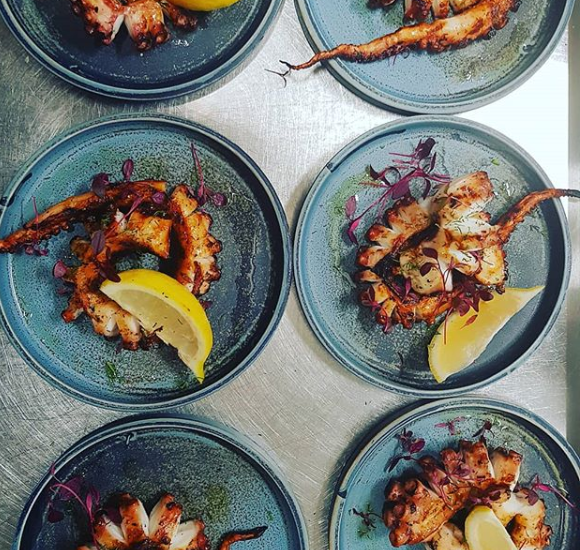 Are you looking for new crockery for your restaurant? 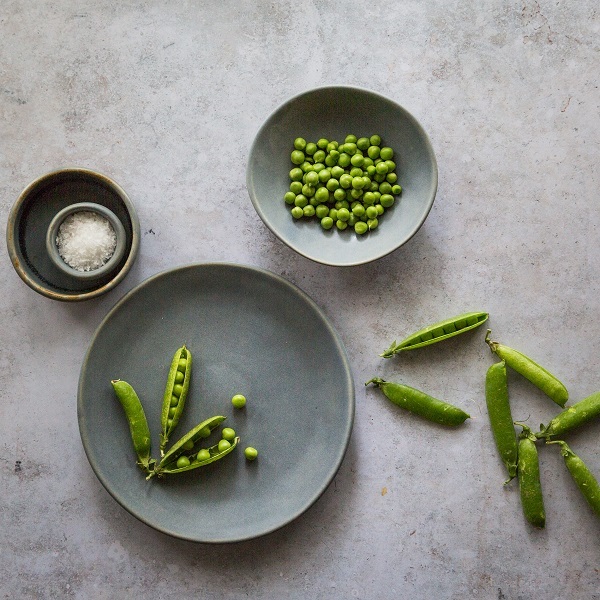 If so and you’re in search of inspiration, we’ve pulled together a list of the most popular tableware trends in 2019. 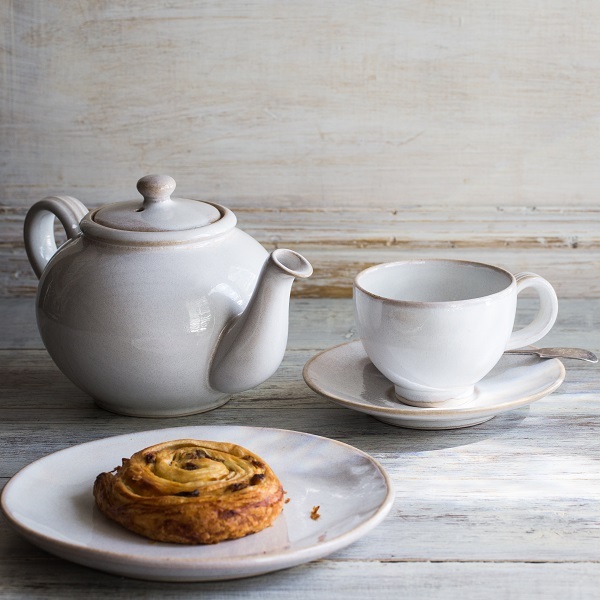 We’ve paired our trending glazes with the most suitable product types to help you gather ideas for your next tableware set. 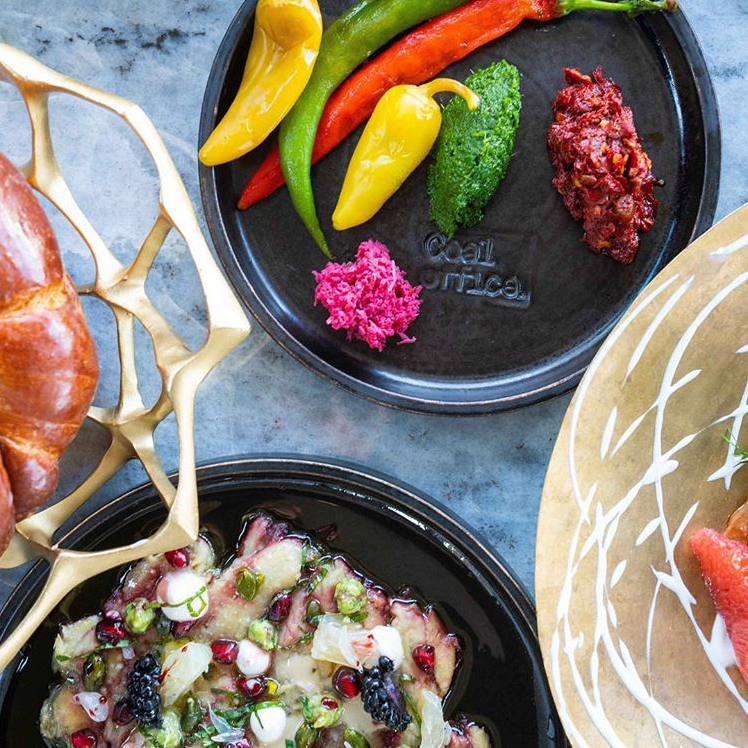 Check out this year’s tableware trends below. 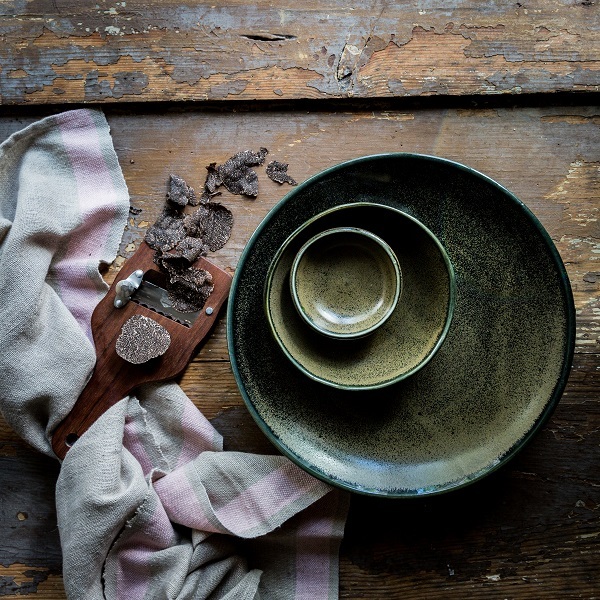 In recent months, we’ve seen an increasing demand for tableware with textured and satin/matte finishes. Textured and satin/matte glazes give a rugged finish which is complimentary of rustic and artisan establishments. 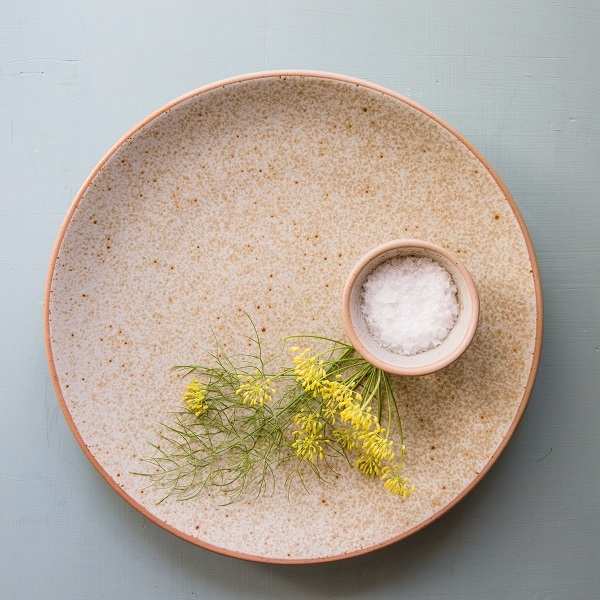 All our textured and satin/matte glazes look great with a bare, wax rim to highlight the main colour of the tableware. Denim is a glaze with a matte finish. It’s one of the most popular in our collection and each piece finished with this glaze is different from the last. 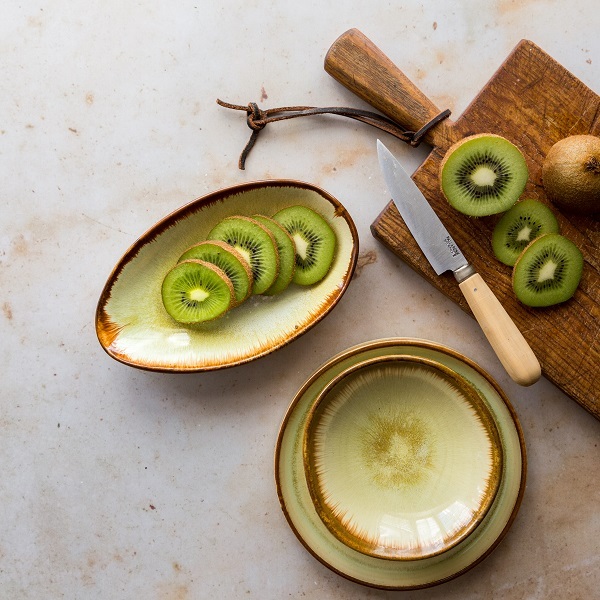 The glaze darkens around the edges of the tableware and gives a slightly rougher texture than a traditional gloss finish. Granite is a satin finish glaze with tones of blue and grey throughout. On some items, the glaze produces flickers of brown around the edges. 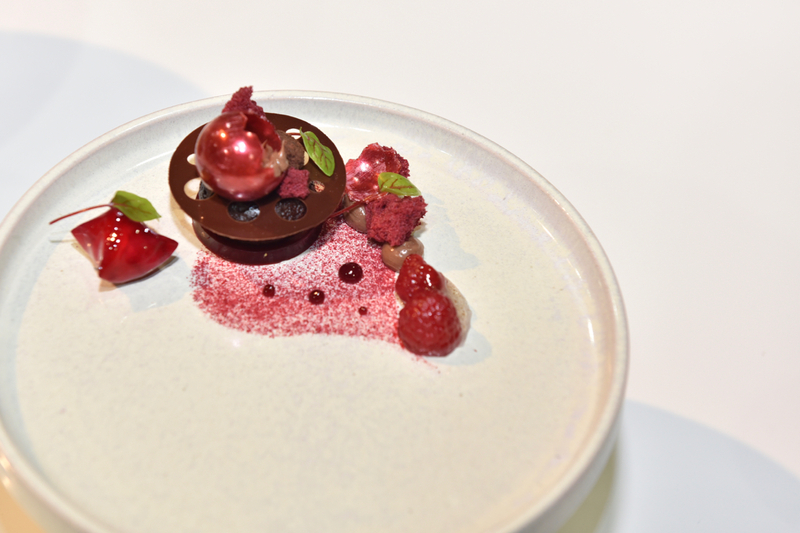 This glaze acts as the perfect base for luxury food presentation. Green Verdigris is an intense, deep green glaze with shades of coppery gold reacting on the surface. It has a textured matte finish. Triticale has a mixed matte/satin finish. It’s fired using a unique heavy reduction method and is particularly complimentary of irregular shapes. 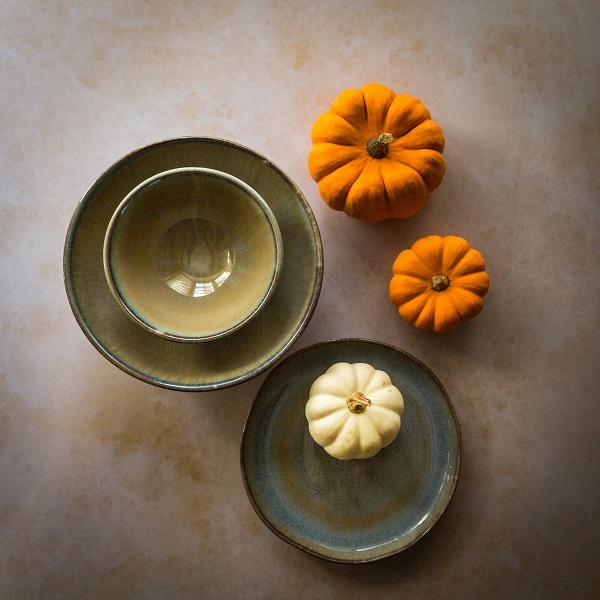 These glazes look best paired with our flat round plate collection (product codes 831, 832 and 833). 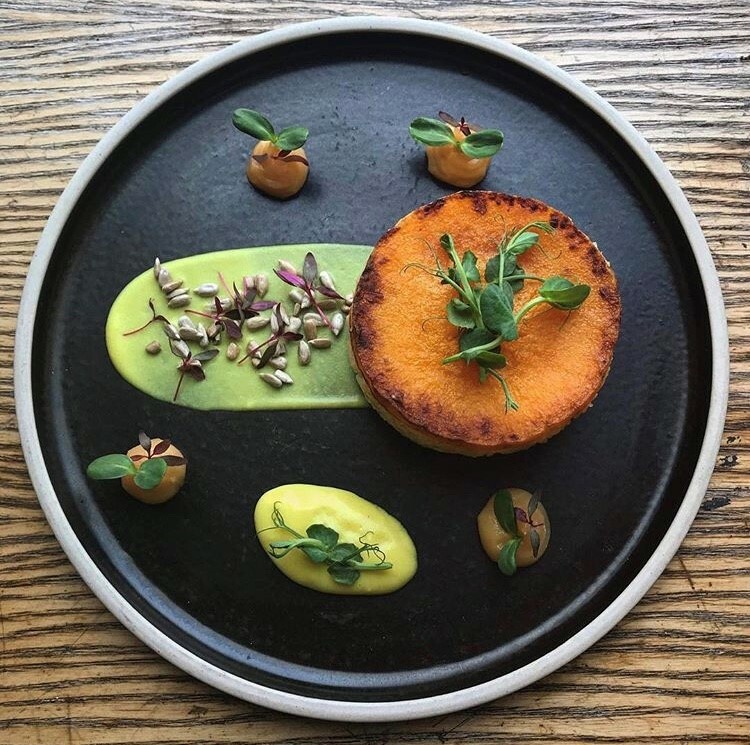 We’ve seen an increasing demand for this style of plate, which adds an element of luxury to any dish. 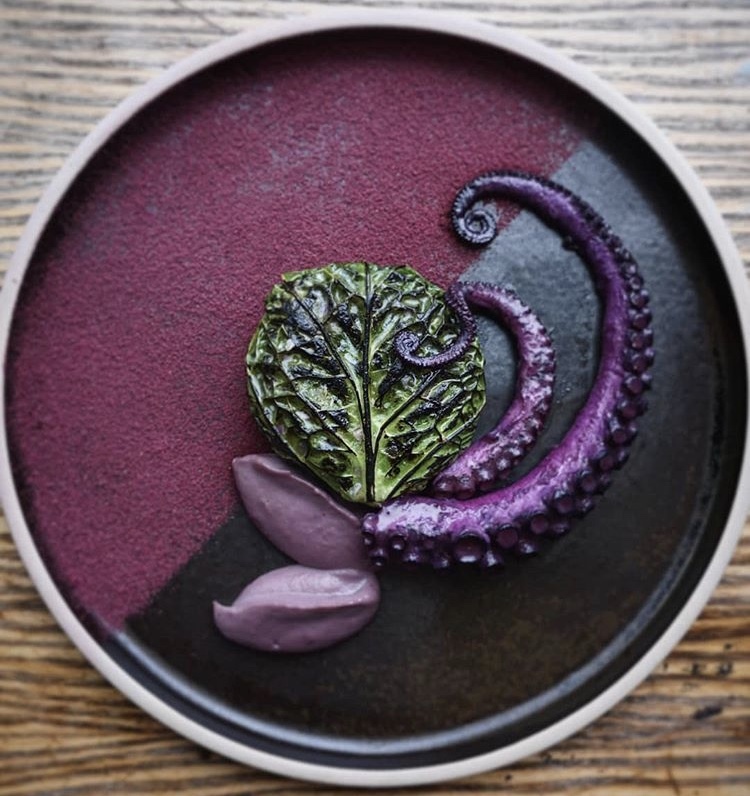 Another tableware trend emerging in 2019 is plates and bowls with a dark finish. 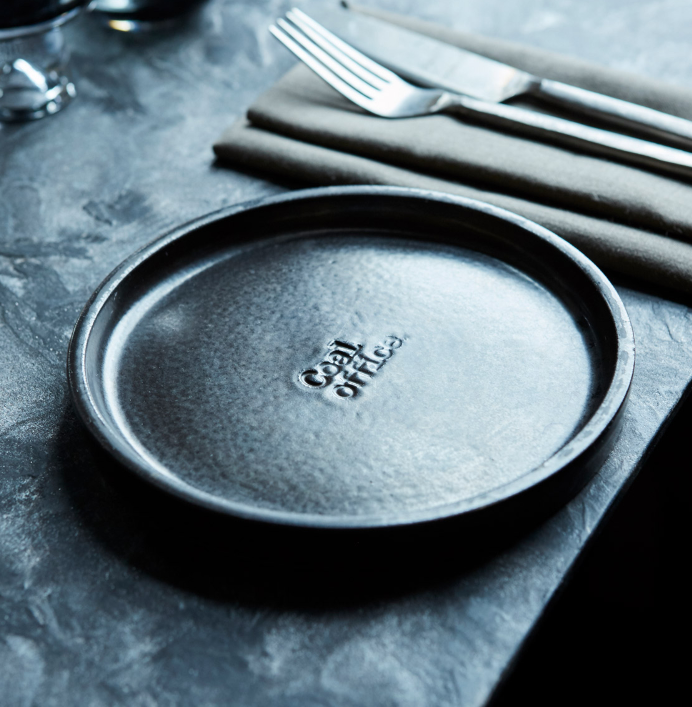 We’ve seen an increase in clients requesting black and other dark glazes for their new tableware sets. 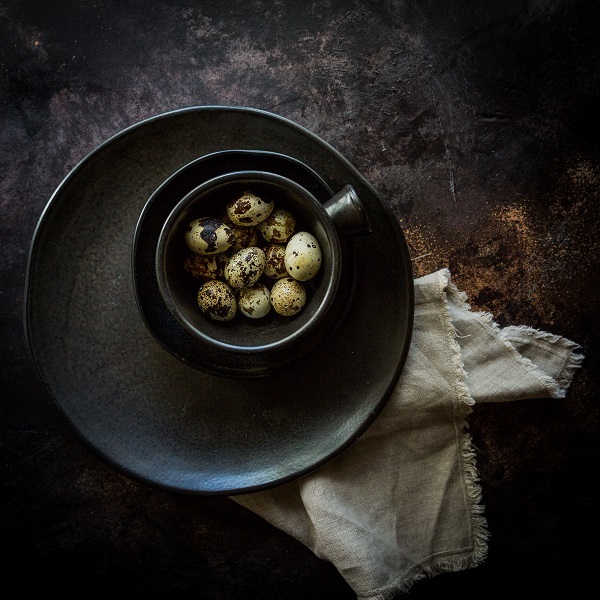 Dark glazes are particularly complimentary of establishments with industrial décor or gastropubs with an edgy setting, but in general, work well across most restaurant types. This soft, satin black glaze has gentle hues of brown breaking throughout the semi-reactive glaze. 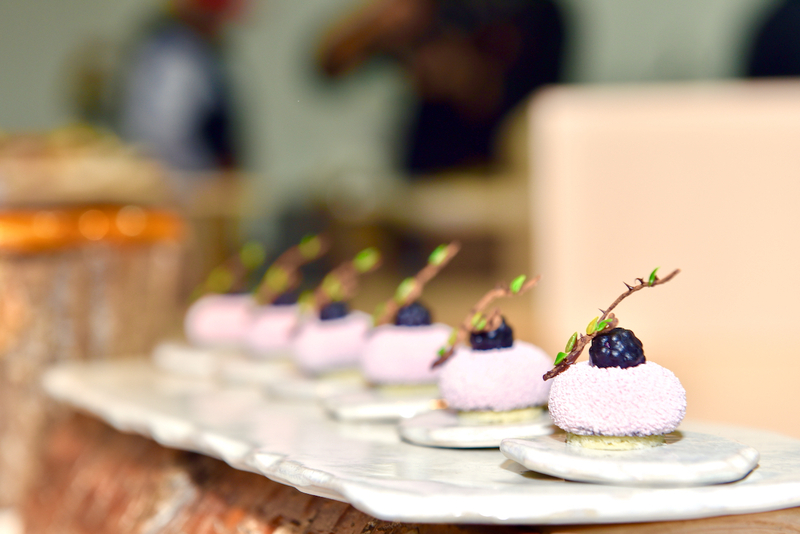 It’s a softer alternative to plain black and offers an ideal presentation platform for vibrant, colourful dishes. This glaze looks particularly effective with an unglazed rim. This dark green glaze comes with flecks of gold and bronze throughout. Each piece develops a distinctive character as it goes through the firing process. Again, these dark glazes are best paired with our flat round plate collection (product codes 831, 832 and 833), alongside most of our mug shapes. 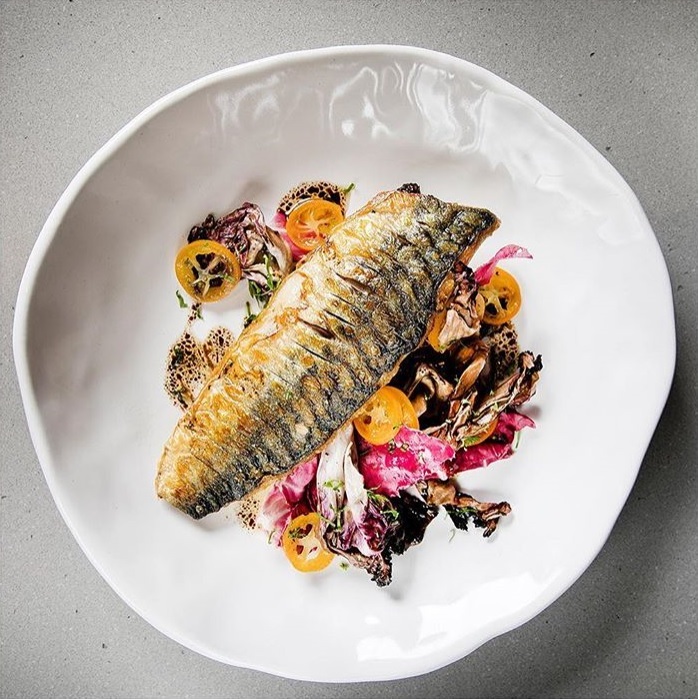 White crockery is a tableware trend that’s set to stay. In 2019, the demand for white crockery is just as high as it always has been. 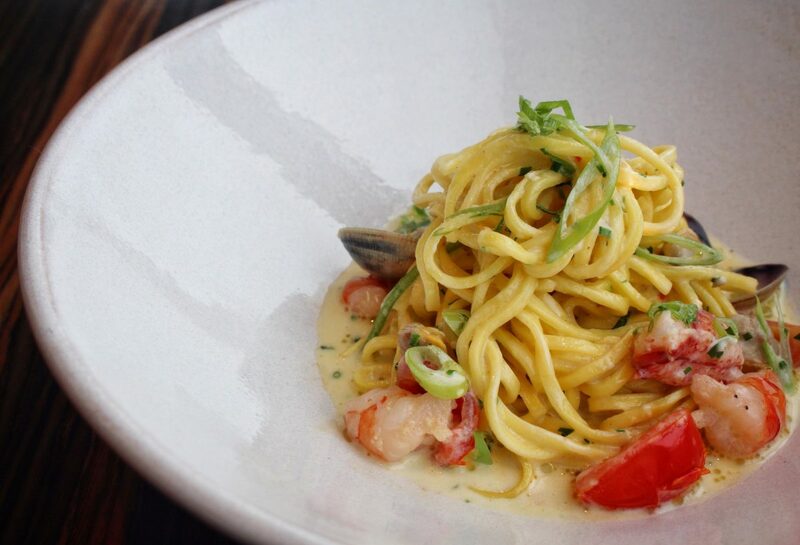 Simple white crockery gives the chef a clean and simple base from which to create more intricate meals. This bright white glaze offers a simple base and can be used as part of a set to compliment other more vibrant glaze finishes. 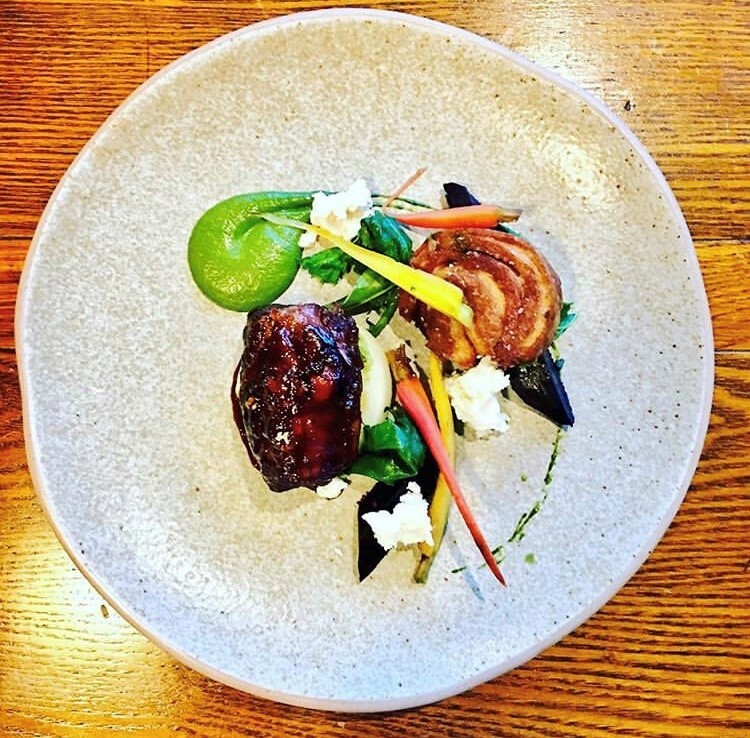 This glaze works perfectly in both relaxed settings and fine dining establishments. Murano is a great alternative to a standard white glaze. The contemporary and almost translucent glaze gives a very simple finish with a subtle texture. This glaze naturally thins on the edges of most items, giving a pearlescent shine. 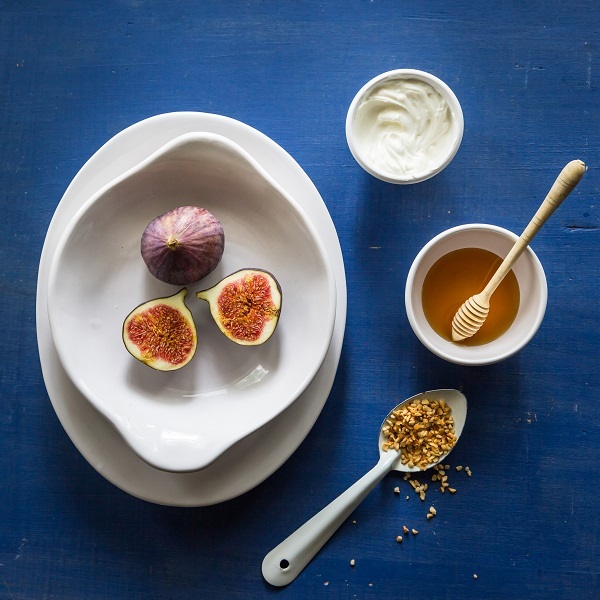 Our classic white glazes are best paired with crockery that has non-wobbled, clean cut edges. We suggest pairing these glazes with product codes 200, 201, 202, 203 and 205. 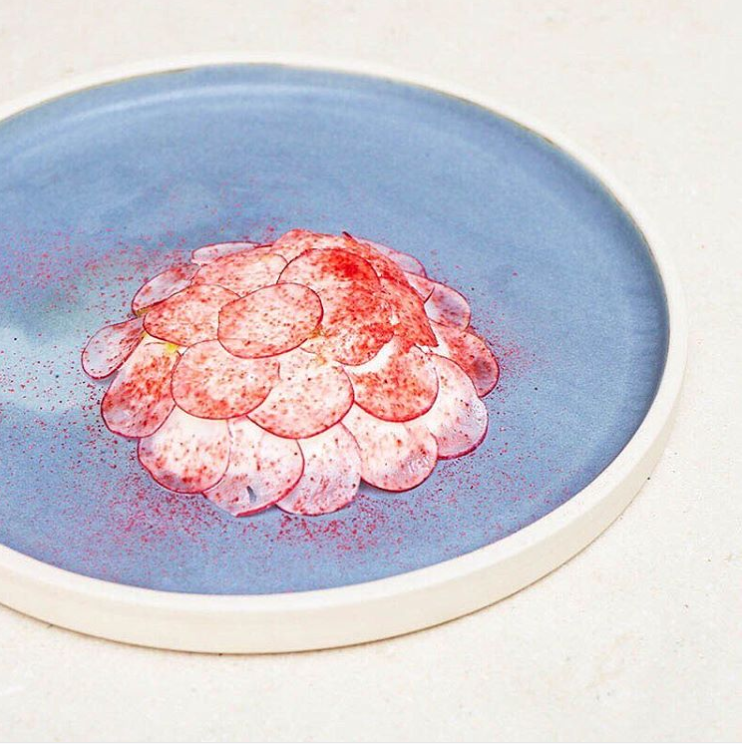 Crockery with a reactive glaze is another tableware trend we’re seeing in 2019. 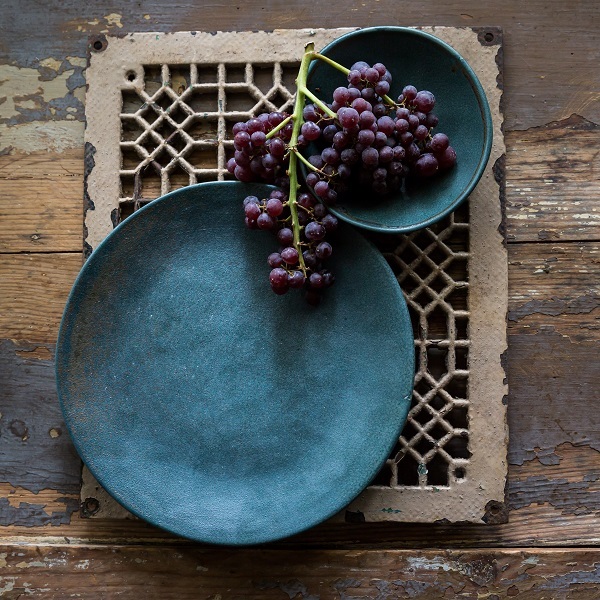 Increasingly, our clients are seeking tableware with more intricate finishes, and a reactive glaze offers just that. 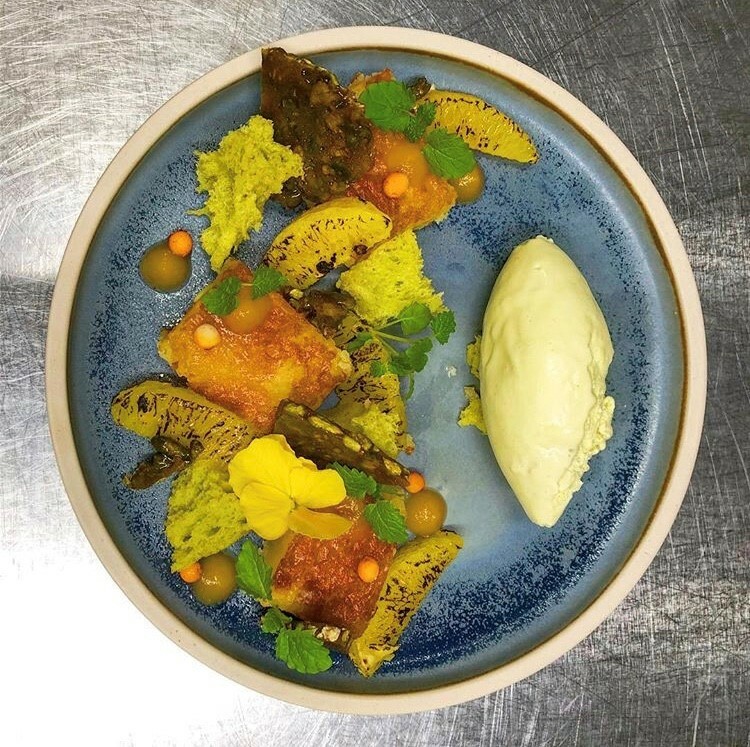 Reactive glazes create a fusion between the different layers during firing, creating patterns and colour blends which is something being sought after by many chefs. 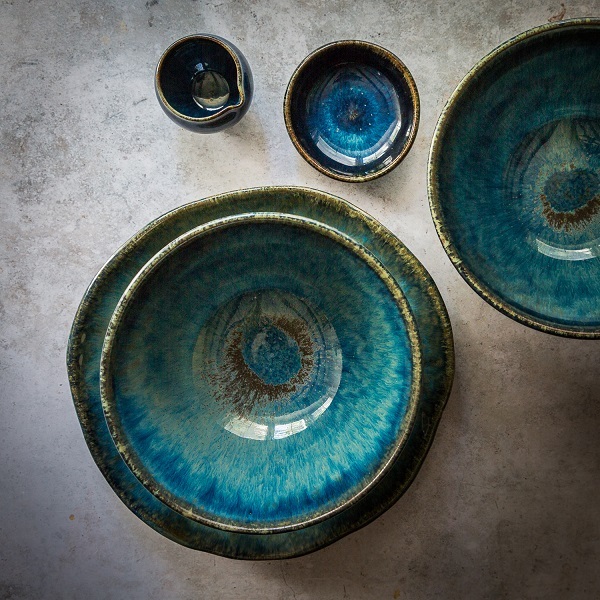 This stunning glaze blends together tones of blue. A mixture of two glazes changing and moving during the firing process creates an artistic effect. This glaze reacts differently depending on which item it is fired on, making every piece unique. 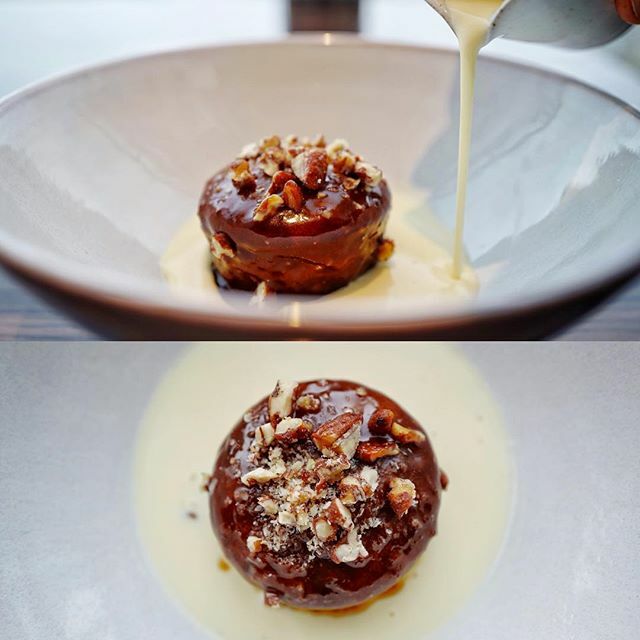 Apollo combines a light glaze, over-sprayed with another to result in a gentle fusion of the two. 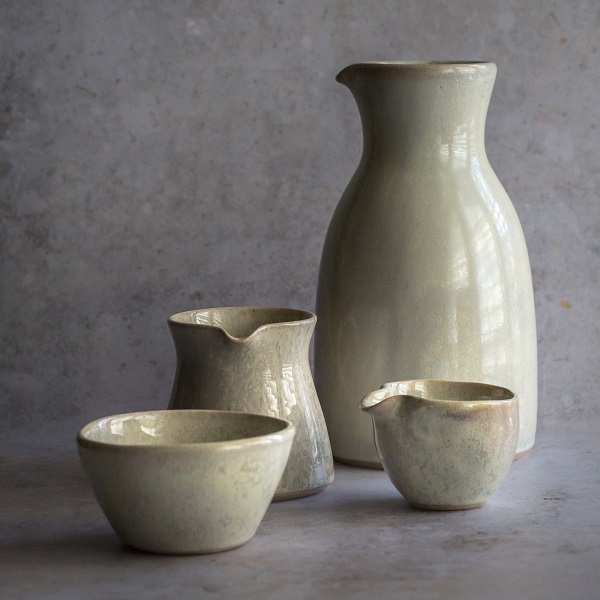 Each piece finished in this glaze is truly distinct from the next. A creamy white glaze with reactions of light grey throughout. 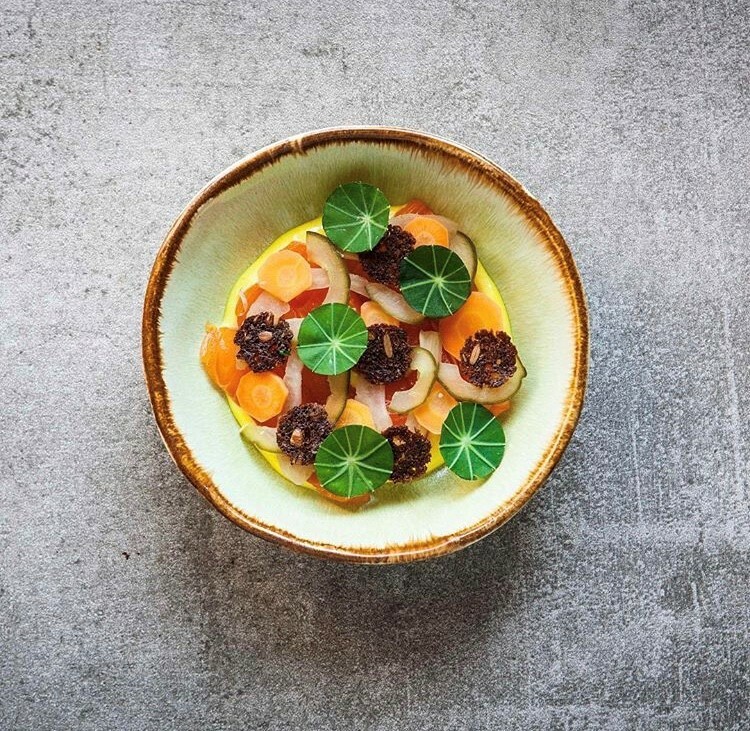 One of our simpler reactive glazes, Halo offer chefs a light base to showcase their dishes, with an understated touch of complexity. Fern is a fresh green glaze, with white sprayed by hand over the top to cause a gentle reaction. This stunning glaze is further enhanced with a brown edge, which naturally bleeds into the glaze during the firing process. Our reactive glazes work well with most of our product range. However, the effect of the glazes moving together is more prominent on taller items such as the carafes (product codes 64 and 65). 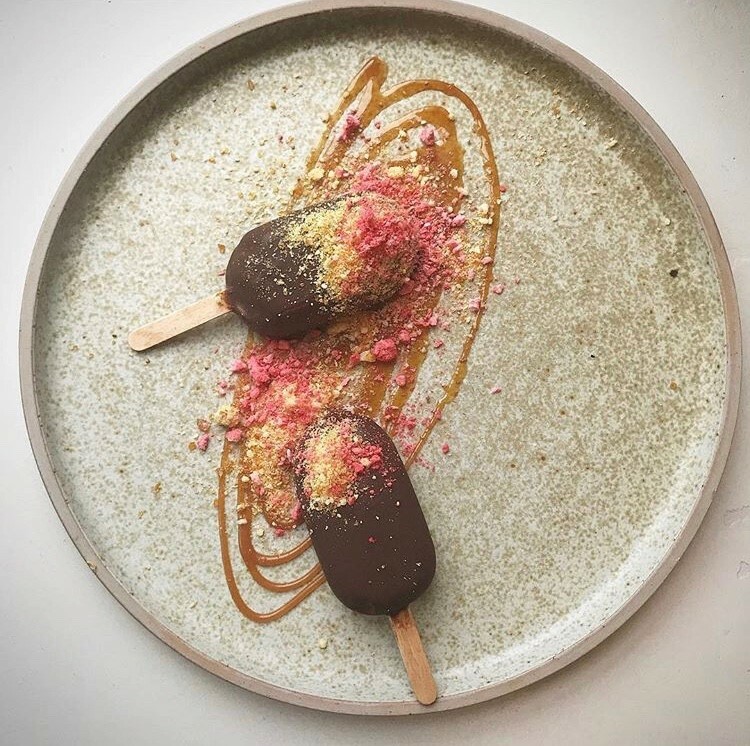 Don’t forget to follow us on Instagram too, where you can get even more inspiration for your next tableware range. 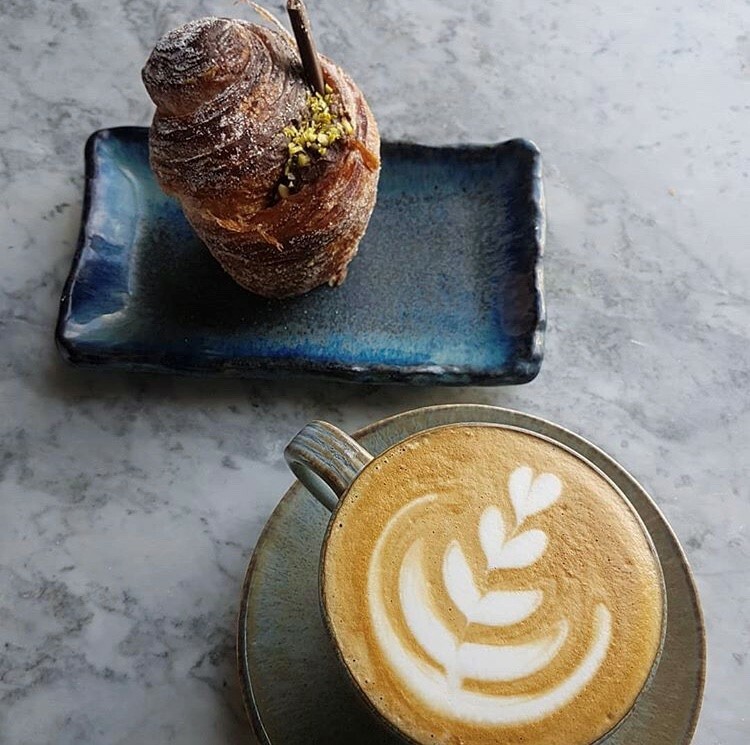 If you’re already using our tableware, tag us in your photo and we’ll feature you on our feed.